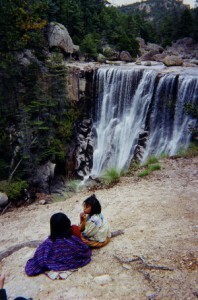 Tarahumar woman and child, by waterfall in the Copper Canyon. Photo: Tony Burton. All rights reserved. We will describe each of these geographical treasures in more detail in future posts. What other places do you think should be on this list? If you have enjoyed this post, you might also enjoy Geo-Mexico: the geography and dynamics of modern Mexico.